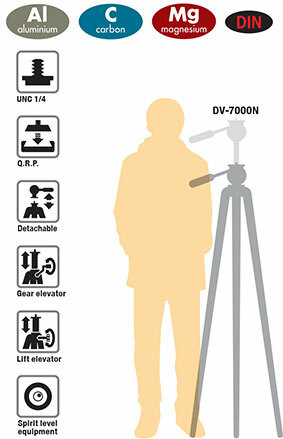 The Velbon DV-7000N 538 Aluminium Tripod comes with a pan and tilt head, the Vel0flo 9 2-way fluid head PH-368. 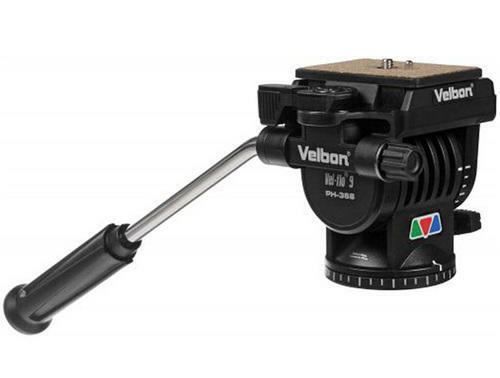 The video head utilises a quick release platform (QB-6RL) which allows users to quickly but accurately setup each shot. 3 centrally braced sturdy aluminium alloy legs with a 3-section quick leg locking system help achieve a maximum height of 153.5cm and can fold down to 61cm. The tripod head features a long control arm for smooth and precise movements while composing or panning each shot. 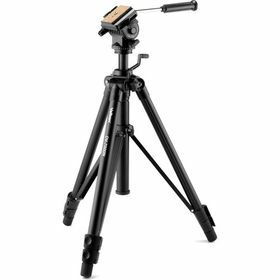 With a maximum load capacity of 3kg, the Velbon Videomate 538 Tripod is perfect for use with smaller videocamera rigs or DSLR and Mirrorless video systems.